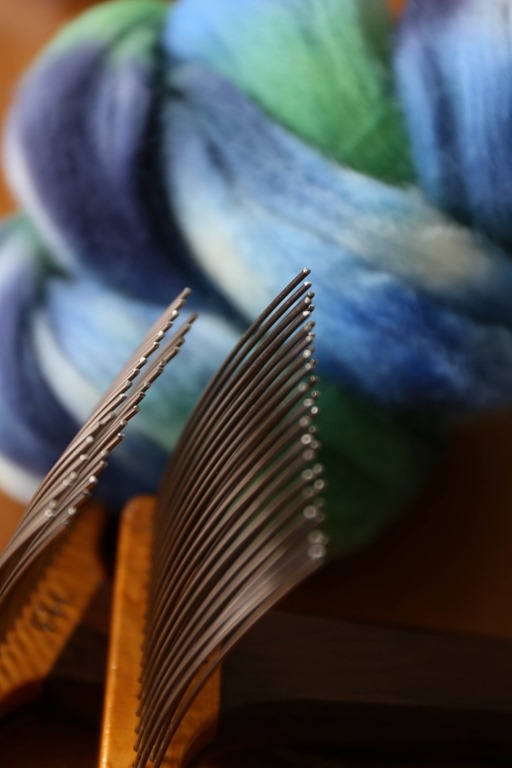 blending colour with wool combs. 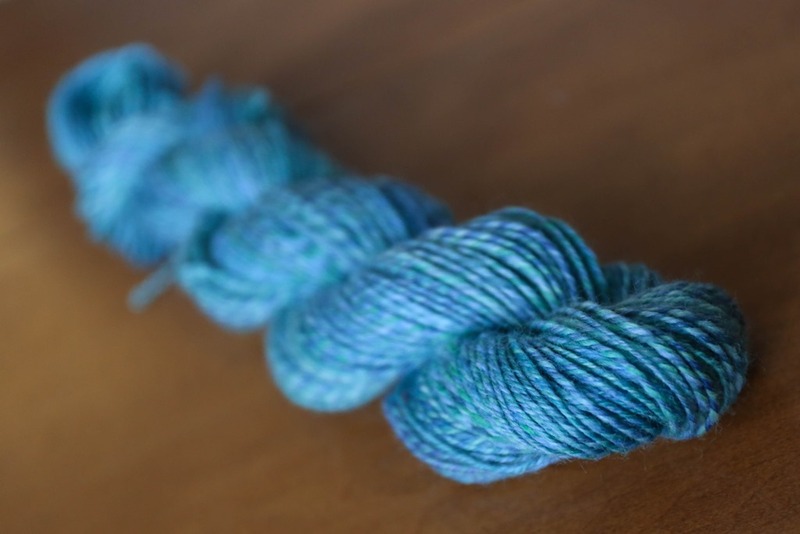 I alluded to this yarn in a previous review post but I wanted to go into more detail about how I made it. I thought it was a really interesting way of creating new colours and blending existing colours in our yarns. Bren of Snerb Studio is a huge inspiration to me – if you don’t follow her on Instagram, you should! 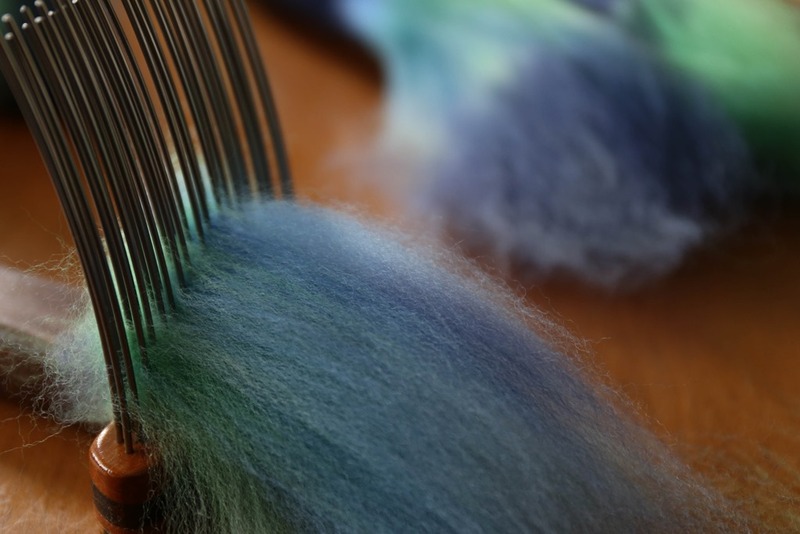 Recently, she made a yarn that was just gorgeous by dyeing the locks separately in analogous colours of green and blue. 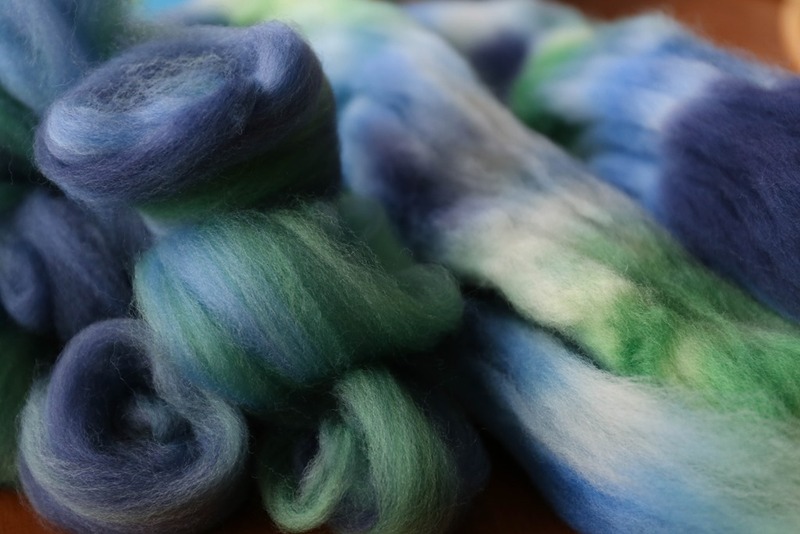 After receiving the Louet Spinzilla Pack for review in September, I thought it was a great opportunity to try this technique but on processed top with the idea of breaking the top apart after dyeing and re-combing. It sounds labour intensive, but I promise, it’s not. 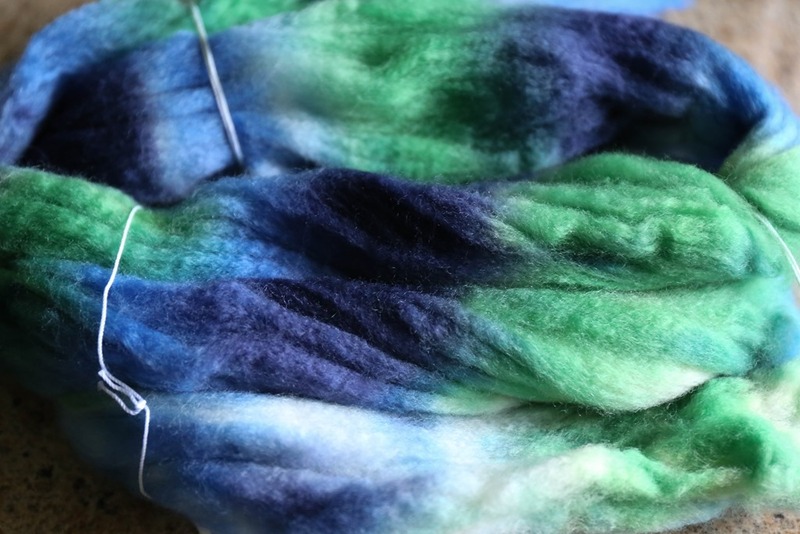 I used the Gaywools Dyes included in the Louet Pack and I loved how these three colours came out on the Superwash Merino Top. Superwash takes dyes beautifully and these will be great for socks. I am stock piling my handspun that is ‘tagged’ for socks because we are travelling at Christmas and I want to have small, portable projects to take, which means socks. I’ve mentioned this before but superwash and socks go hand in hand for me at this time in our lives. You know why they have to be superwash? I realised this the other day – it’s not just our lifestyle & the kids. It’s the dog hair! Nothing else gets the hair out but machine washing! Back to this yarn. I used my wool combs after the top was dry. All I did was lash the top onto the comb and pull the top through the combs off about 4-5 times so that the comb was roughly half loaded. I then just pulled it off, as you would if I had combed it back and forth several times when using them traditionally. It was more than enough to blend the top nicely without having to actually comb anything. Brilliant, right?! Not labour intensive at all! These little nests of fibre ended up being so fast to spin! 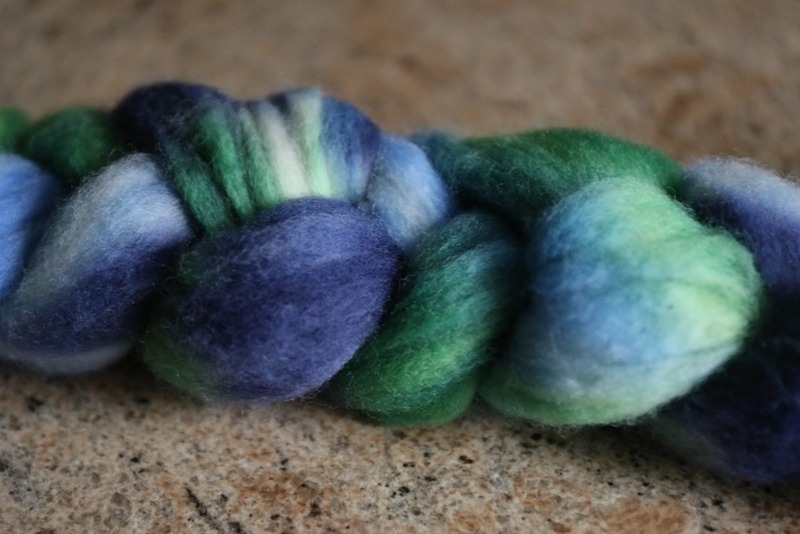 I created a traditional 3-ply and spun the first 2 oz for one centre-pull ball. I’m working on the second 2 oz now and I’ll post the two finished skeins before I wind them to start knitting my socks (This is something I always do when spinning for socks!). 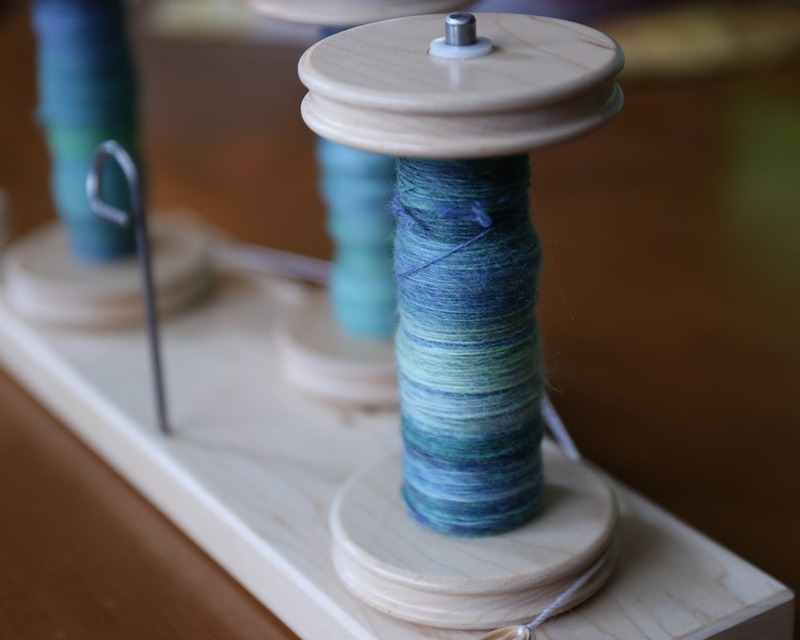 I’m using a 12:1 ratio for high twist singles and plying was done at 15:1. This top has no nylon in it so the high twist is for durability in the finished socks. It’s not the most even spinning I’ve done but I know the finished socks will be wonderful — knitted fabric hides most (if not all!) 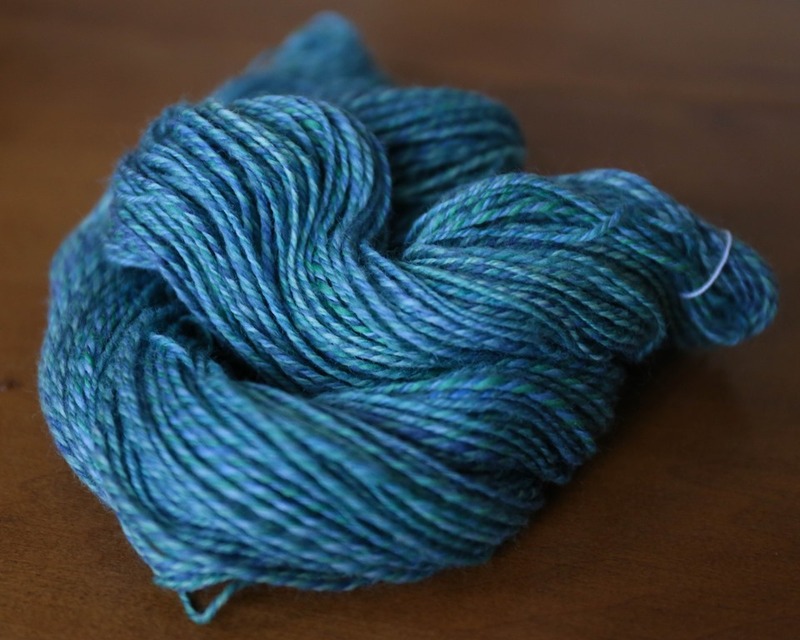 of my inconsistencies in my handspun.